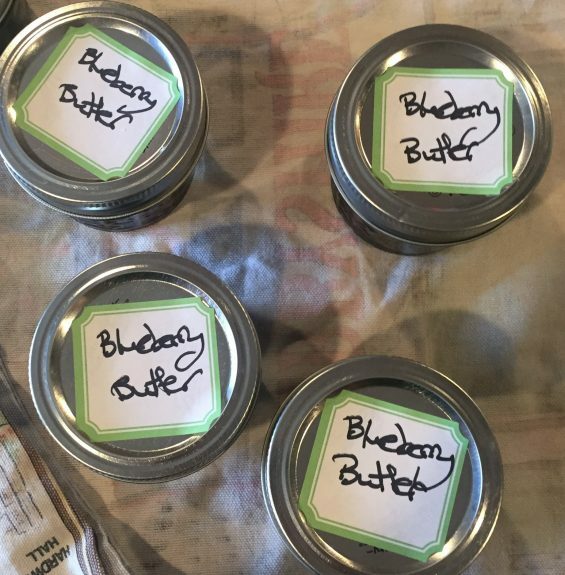 I’ve made blueberry butter to go in the holiday teacher gift boxes for H’s school a couple of years running now, and once or twice in between. Sometimes I throw in some maple syrup, sometimes I make it with lower sugar, but this is the general recipe I like to use, from Chowhound. 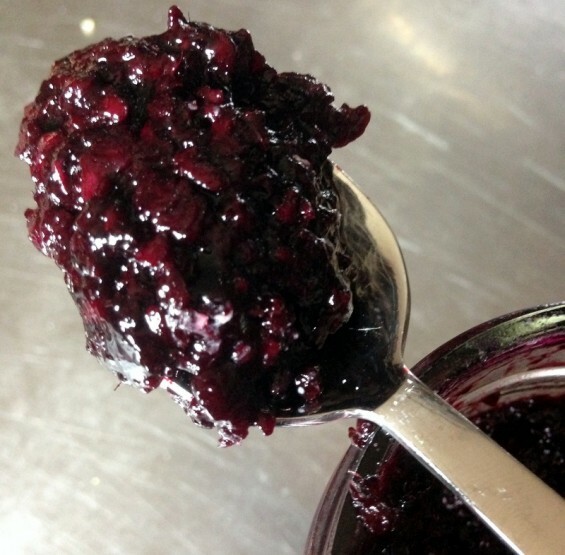 It’s pure essence of blueberry, and smeared on a piece of buttery toast it’s like nirvana. These ingredients make about 3 pints, or 6 little half pints (I like the small jars for gifts). Cherry picking is still H’s favorite of all the fruit pickings. She just absolutely loves cherry trees. 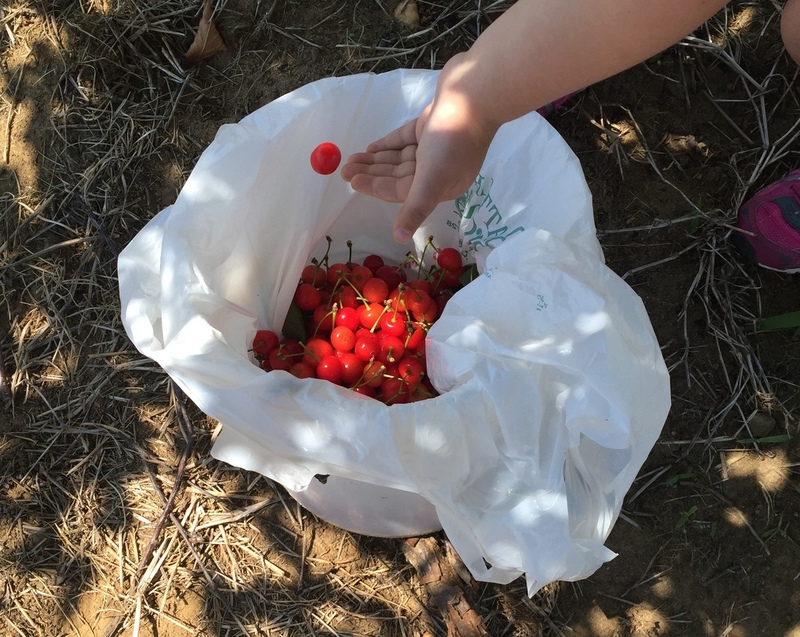 This year’s sour cherry season was insanely short, less than a week. Battleview Orchards opened on a Monday, we were there on Wednesday, and by Friday they were picked clean. 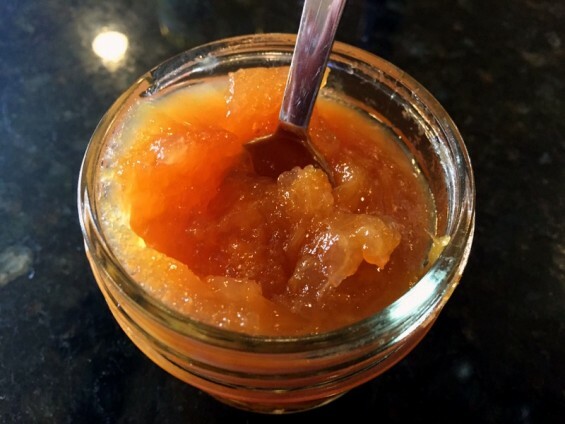 We did a ton of peach picking in the last weeks of summer, so I made a big batch of peach bbq sauce and this jam. 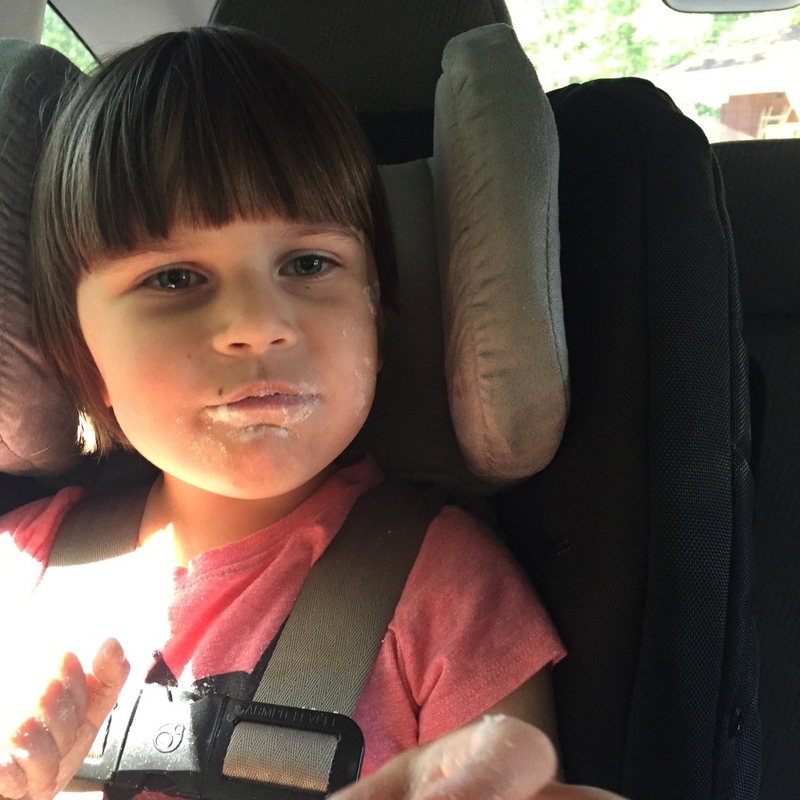 It was kind of an afterthought; peaches are one of H’s favorites to pick, but not the fruit I get most excited about. 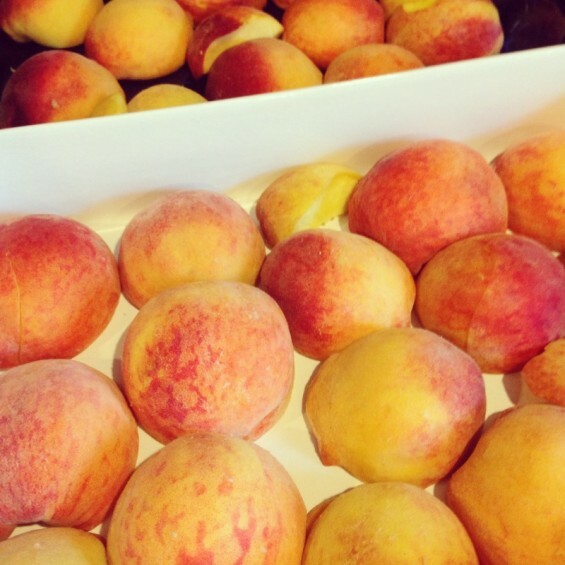 Every time we pick them I end up with a fridge full of peaches and all kinds of recipes that just don’t excite me. And it takes forever to blanch them and peel them. I have terrible timing with my jam posts. By the time I get them written, most of the fruit I used is out of season. But, I’m still posting this one because it was delicious. 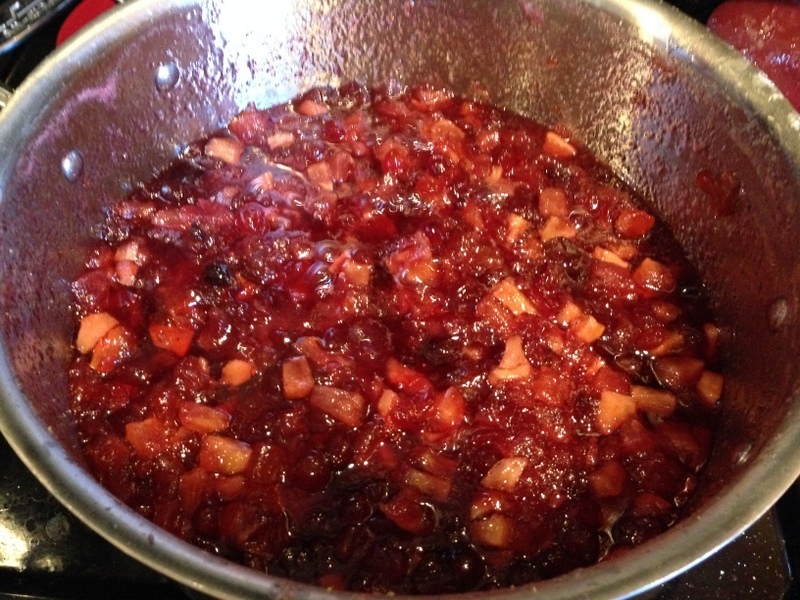 Last year in early November, with the very last remnants of my spoils from apple season, I made this fantastic jam for Thanksgiving. I gave jars of it to H’s teachers at school the day before Thanksgiving break last year (but not this year, she was out sick with an ear infection the whole week). We served it at the table for the big feast. 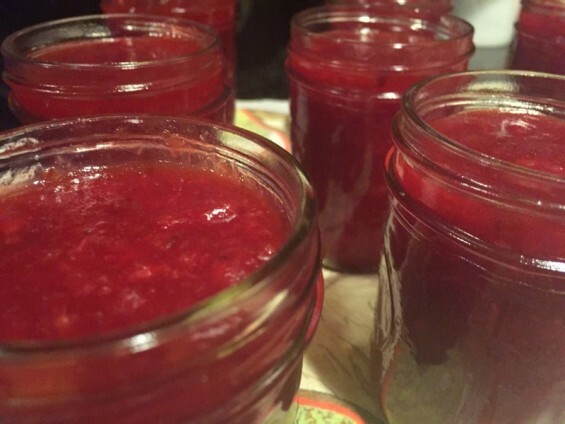 We served the last jar of it last week for Thanksgiving, and I still forgot to take photos of the jarred goodness instead of the giant pot of hot goop. 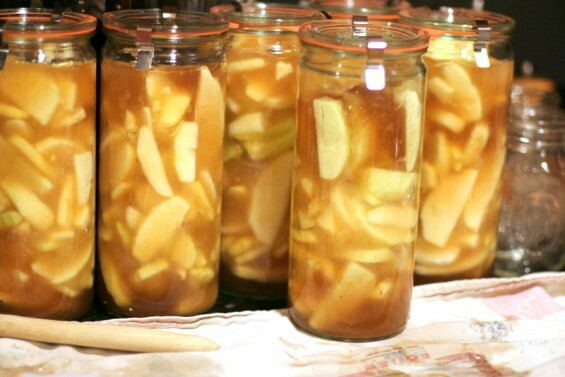 A few years ago, when I first started canning, I put up some apple pie filling. It was fine, but the apples were so mushy by the end of the canning process that they practically disintegrated in a baked pie. I didn’t try again until last fall, when I read a whole bunch of recipes for canning apple pie filling in the hopes of finding the one that would work. We’ve picked so. many. peaches this summer, you guys. 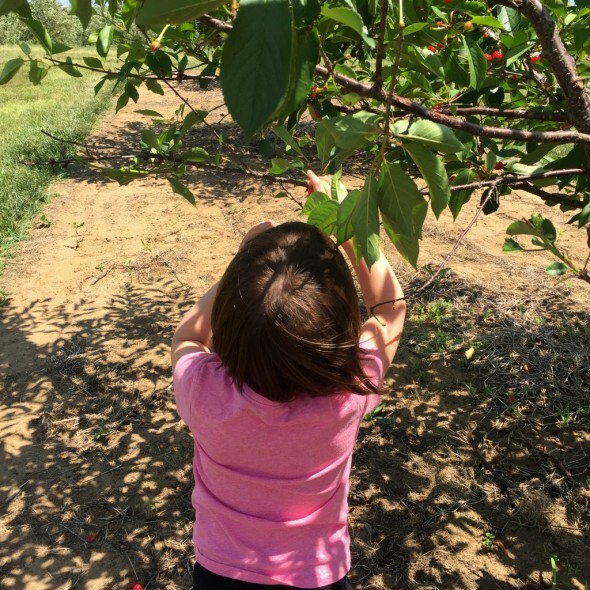 H and I went once in early August, and the peaches were gorgeous but not ripe yet. I attempted to make a disastrous batch of roasted peach butter with them and then gave up on the lot. We went again the week before last, and the peaches were ripe and totally glorious. We’ve been doing things. And we still have more peaches to deal with. Our freezer will be overflowing with this summer’s goodness well into the winter (happy dance that we bought a stand-alone freezer for the garage this year!). 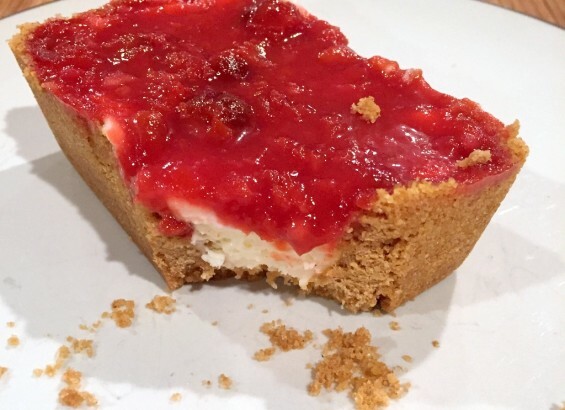 Adam wasn’t sure about the texture of this jam, but I’m surprised by how much I love it. Usually he’s the bigger raspberry fan. Some vanilla extract, some cinnamon, and a splash of chocolate balsamic vinegar just sent this one into My-New-Favorite territory (also, it’s not seedless). 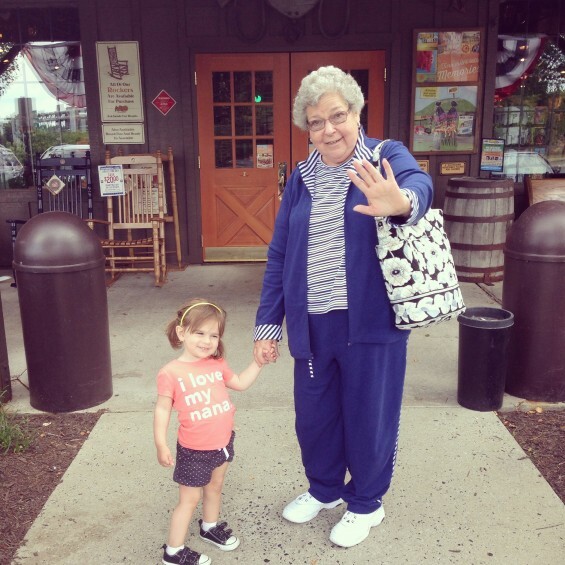 We went back to Lancaster July 1-3, but this time it was three generations of women heading to Kitchen Kettle Village. I do love it there, although after our second stay in the Inn at Kitchen Kettle Village I’m a little grossed out by the infrequently-washed carpets. It was much worse this time, I may have to rethink things for our next visit. This is what we got ourselves up to. I love making applesauce. It’s just so easy. Last fall I made tons of it while we were working on getting H to eat solids. I went through so many apples from local farms and markets, and I made two batches using my favorite recipe, but this time I didn’t add any seasoning at all. Just straight up apples for the little lady learning to eat. She hated it, of course, so I have been eating all of it myself through the winter.